As an analogy, it has been observed that the gadgets mentioned above are prone to certain malfunctions and these malfunctions require an expert attention to resolve the malfunction and finally enabling the gadget to function for a prolonged time period. 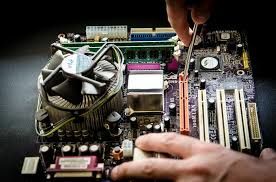 In this particular horizon, the annual maintenance contract or the IT AMC Dubai has come to the frame of ensuring the maintenance activity thereby bringing about an extended lifespan for the gadget. In today’s context, the annual maintenance has been considered as a strategic decision among the organization today for continual IT support system through a written contract for maintenance by the service provider and the organization. The annual maintenance contract or the AMC has been aimed to constantly help the customers to maintain their workstations, servers, laptops, printers, projectors efficiently for an extended period of time as mentioned in the contract outlines. How AMC benefits the Server side support? Computer servers are considered as one of the major repository for database which eventually gets accumulated from the various workstations connected to it through the local area network or the (LAN). Servers are quite prone to certain redundancy and which requires the continued monitoring of the same. Server maintenance also involves the constant update of certain software patches and also the firewall network security software so that the server constantly remains safe and hence the security prevails to the entire workstations that are being connected across. The AMC component does involve the server maintenance activity which involves the reviewing server performance at regular intervals and the most pivotal component also involves taking up the backup of the database for the safety of the crucial data. The server side support rendered by the service provider as a core component of AMC often involves the engineers to be constantly present at the client-side for continual monitoring of the same. Persistent monitoring of the assessment of hard disk space and health. Monitoring the folder level permissions. In fact in the recent trend, the structure of AMC and the modality of the system maintenance has been sporadically changed, with the cloud computing platform taking up the center-stage among the organization; the pattern of server protection also has changed. The AMC under the cloud surveillance has been more towards the overall monitoring of the bandwidth that is required to sustain a server. Since the entire workstations and server handles certain mission critical tasks, the problems that arise at the workstation and server levels are handled at a faster response time and with quick resolution so that the work does not get hampered. AMC service providing company constantly focus on the unlimited remote desktop support as it is becomes quite convenient for the users to resolve certain miniscule issues.